This is the fifth year that Anglicans and Lutherans from Sault Ste. 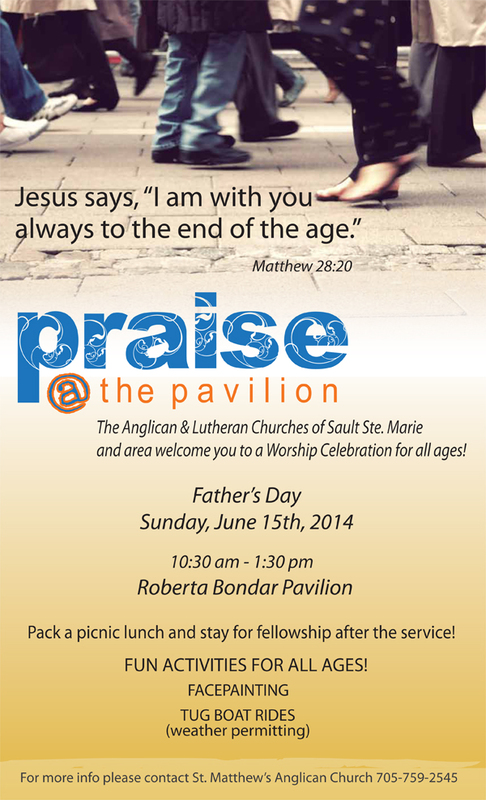 Marie and area welcome all to celebrate our common faith together at the Roberta Bondar Pavilion! Mark this date in your calendar and plan to attend this family friendly worship service! May 7, 2014 in Child & Youth Ministry, Mission, Worship. ← Online learning opportunities in Algoma!